4 Corporate Event Trends You Need To Know! What do you think of when you picture a corporate event? Probably a bunch of middle aged men hanging around in suits, talking about productivity, investments, and shareholders, right? Corporate events are typically considered boring, formal affairs, but a host of exciting new corporate event trends are making events more interesting, engaging, and most importantly, fun. Companies are constantly employing different tactics to make their corporate events memorable and unique. And to help your corporate event planning process, the team at Platinum Banquet Hall is running through some popular corporate event trends to watch in 2017. Social media has been turned on its head thanks to the arrival of Facebook Live, Periscope, Instagram Live and other live-streaming apps. Luckily, these apps can be used to make your corporate event a big hit. More and more companies are implementing corporate event live-streams to get the public in on the action, sharing product reveals, corporate awards ceremonies and more with the masses. Live-streaming your corporate event will boost your company’s profile across the web, connecting you with a whole new group of supporters. Corporate conferences are supposed to boost your business’ profile, but you can’t forget about your guests. In fact, more and more business conferences are putting emphasis on the attendees instead of the host. If you’re having a corporate awards ceremony, corporate holiday party, or corporate fundraiser, then you’ll definitely need some catering. While many catering companies opt to cut costs by using factory-sourced ingredients, you can impress your guests with locally-sourced and organic catering. Going with local and organic catering will impress your guests by providing food that’s a much higher quality than they’d expect at a typical corporate event. Moreover, it will show them that you care about the environment and supporting small businesses, providing a positive portrayal of your company’s ethics. Platinum Banquet Hall offers some great corporate event catering options, providing your guests with a delicious array of gourmet dishes. 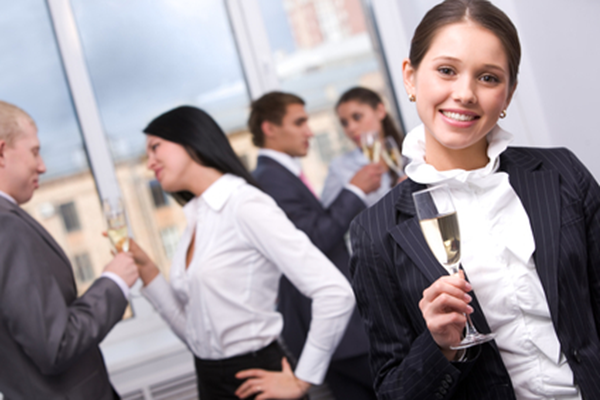 Typical corporate events are formal affairs, putting business first and fun second. But many companies are opting for less serious events, allowing them to make long-lasting connections with guests. Remember, your guests probably spend their days in an office all day, plugging away at their own projects. Your corporate function should be something exciting and fun for them, breaking the monotony of their days with something unique. You want your event to strike the perfect balance between classy and fun, and having a more relaxed atmosphere will help your guests have fun and decide to get engaged with your company. If you’ve been tasked with planning a corporate event, then you know how difficult it can be. But by keeping up with popular corporate event trends, you’ll be able to make the most of your special occasion. If you’re looking for a corporate event venue in Los Angeles, consider Platinum Banquet Hall. Our luxurious event venue offers customizable accommodations perfect for corporate galas, holiday parties, conferences, awards ceremonies, and more. For more information on booking and availability, contact Platinum Banquet Hall today.